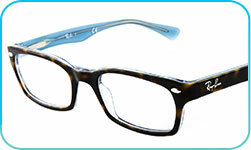 We provide a wide range of spectacle frames, lenses and also contact lenses. 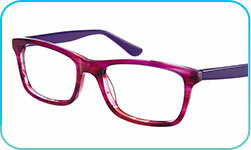 At the practice we have a wide range of frame styles to choose from, to suit all tastes and budgets. From complete glazed spectacles to top designer ranges all at competitive prices, and if we don't have the frame of your choice we'll do our best to source if for you. Our qualified staff are on hand to advise and recommend the most suitable lenses for your prescription, lifestyle and visual requirements. Thinner, lighter lenses: advance in lens technology means lenses can now be made even thinner and lighter, further improving the overall appearance of your new spectacles and making them more comfortable to wear. 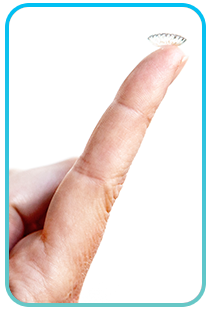 Anti-reflection: improves the cosmetic appearance of your lenses, and allow your eyes to be seen clearly. Beneficial for elimination glare in night driving and for computer screen users. 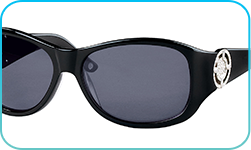 Combined with an anti-scratch coating, makes lenses more durable to everyday wear. These are treated in exactly the same way as annual lenses, but are thrown away after a month and replaced with a fresh pair. Ideal for convenience, comfort and occasional wearers, worn once then thrown away, each lens comes in its own blister pack, proving useful for holidays and ideal for sport, no need for cleaning. The newest generation of contact lenses, the material they are made from enables more oxygen to reach the eyes, allowing continuous wear around the clock for up to 30 days, before replacing with a fresh pair. Ideal if you want continuous clear vision twenty four hours a day! Having taken over from hard type designs, they are semi rigid lenses that allow oxygen to reach the eye. Very durable, but may take longer to become accustomed to and are usually replaced on a yearly basis and must be disinfected after wearing. We are the only independent stockists of Oakley frames in South Shields and have the specialist Oakley frame and lens knowledge to back this up. We also stock RayBan, Michael Kors, Gant, Barbour, Ted Baker and many more exclusive designed and with our Price Match Guarantee* why go anywhere else for your Designer Eyewear! We can also order in any specific frames from any of our suppliers that we do not hold in stock on a bespoke basis.